Donate now Embrace the legacy ! 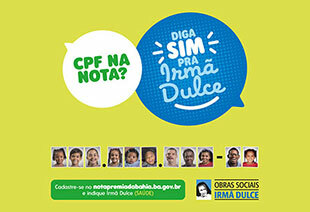 The tax education campaign of the State Government of Bahia, Your invoice is a Solidarity Show, is another way to contribute to the Irma Dulce Social Works. 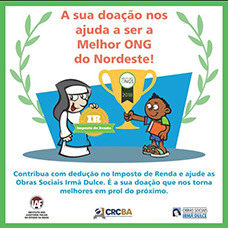 The donor may deposit his / her invoices in the collecting boxes scattered at commercial points in Salvador, Metropolitan Region and inland of Bahia. The donor can also take them to the Donations section at our headquarters (Avenida Bonfim, 161, Largo de Roma - Salvador / Bahia), or still send them through the Post Office (for residents of other cities). With the funds raised through this campaign it is possible to carry out works, renovations, purchase of equipment, medicines and hospital material, as well as the payment of energy and water bills. This campaign is valid only within the State of Bahia. *Você não divide as suas notas fiscais, você as compartilha ou seja, as suas notas serão utilizadas para você concorrer aos sorteios e para a premiação de suas instituições escolhidas. Acesse a sua conta no Portal da Nota Premiada Bahia, confira as suas notas fiscais, os bilhetes gerados e acompanhe os resultados dos sorteios. 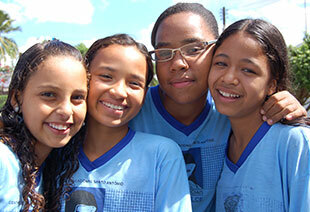 Embrace the Irmã Dulce’s legacy and help us to keep alive the “Love and Serve” mission. 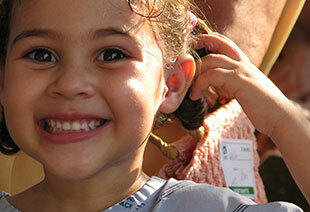 Your donation could help the OSID educational unit, which serves about 700 full-time children and adolescents. You Invoice is a Show!